The neo-Romanesque Cathedral-Basilica of the Immaculate Conception, informally known as the Manila Cathedral. 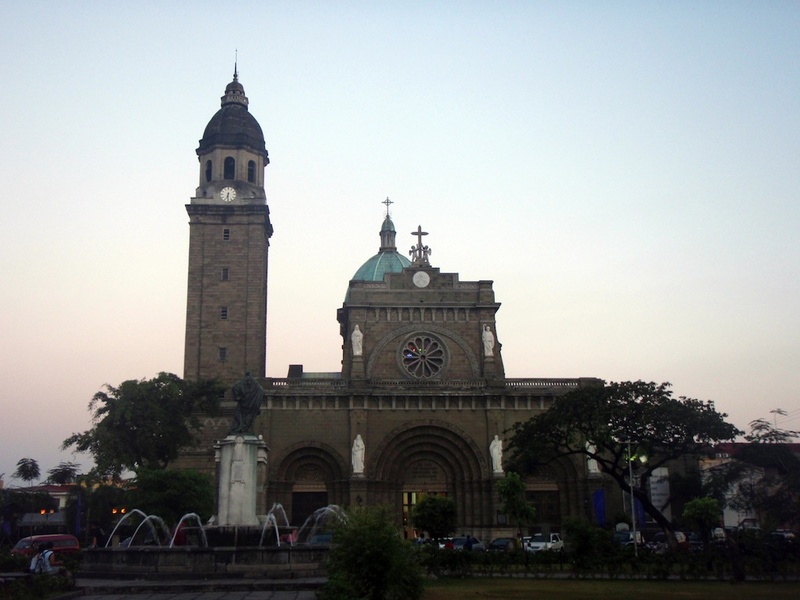 It is the prime basilica of the Philippines and the seat of the archbishop of the country . The orginial church was founded in 1571, governed by the diocese of Mexico City. The present structure is the eighth on the site, constructed in 1954. The original was made of wood and nipa, but was razed in 1583. The subsequent ones, made of stone, were either destroyed by earthquakes or by Japanese bombing during World War II. The cathedral was elevated to a minor basilica by Pope John Paul II in 1981 by virtue of a papal bull.